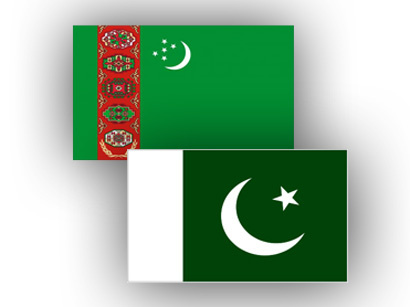 Turkmenistan has abundant natural gas resources and is interested to help Pakistan in energy sector for improving its economy and bringing the two countries further closer. This was stated by H.E. Atadjan N. Movlamov, Ambassador of Turkmenistan during his visit to Islamabad Chamber of Commerce & Industry to congratulate Mr. Zafar Bakhtawari on his election as President. He said that Turkmenistan was working on its part of the 1700 kilometer TAPI gas pipeline to build it up to Afghanistan while the selection of a consortium was in process for execution of this important project. The TAPI gas pipeline aims to transport more than 30 billion cubic meters of gas annually from Turkmenistan to Pakistan and India as well as relieving shortages in Afghanistan. He also informed that Turkmenistan was already supplying gas to Iran and China as it has a 7500 KMs gas pipeline with China, which was constructed within one and a half year and also wants to help Pakistan in overcoming energy crisis. He said that Turkmenistan was laying a railway line up to the border of Afghanistan and was interested to support Pakistan in building key infrastructure including railways and road networks. The Ambassador said his country was keen to sign a trilateral transit trade agreement involving Afghanistan, Pakistan and Turkmenistan to promote trade and economic relations. He informed that Turkmenistan was to hold next CIS Summit in November this year and invited Pakistani entrepreneurs for a Pak-Turkmenistan Business Form at this occasion to explore new opportunities of mutual cooperation. Speaking at the occasion, Zafar Bakhtawari, President, Islamabad Chamber of Commerce & Industry said that Pakistan was focusing on Central Asia and considers Turkmenistan an important country to improve relations with this part of the world. He said Pakistan was keen to strengthen its cooperation with Turkmenistan, especially in energy field to mitigate the adverse effects of energy crisis on its economy. He termed TAPI pipeline as a peace pipeline because it will contribute in promoting peace in this region. He said bilateral trade between the two countries was far below the potential and urged that Pakistan and Turkmenistan should facilitate exchange of business delegation for establishing direct contacts so that they could work together for promoting trade and economic relations. Zafar Bakhtawari also emphasized that the railway line, being established from Turkmenistan to Afghanistan, should be extended up to Pakistan. Connecting these countries through railway links will cut down logistic costs and facilitate the acceleration of trade. He further stressed for establishing direct air links between the two countries to promote people-to-people contacts. Both countries should also support entrepreneurs in holding of exhibitions in each other country, which will help in promoting trade and exports. Gas from Iran American resistance and Gas from Turkmenistan Multiple defused problem in the form of Taliban.so we can solve the problem with Taliban by involving Saudi Arabia and give Pashtuns space in Afghan Govt and in Pakistan Imran Khan is the best option.and reverse the process Politically, not by force more.